A postcard to Rev. R.B. 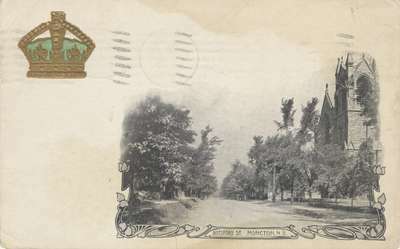 Layton, Amherst, N.S., mailed from Moncton, New Brunswick. We leave Moncton Friday morning at 2:25. We are sorry that we couldn't [take] a later train, as our [ticket] allows no stop over. [We] have to go right through [...]. L.H. Mack"